The 206 Jet Ranger helicopter was introduced to the civilian market in 1967 and is currently still in production. This helicopter has acclaimed worldwide success as the most popular single engine turbine machine in its class. The spacious cabin offers a five seat configuration ideally suited for corporate and executive transport. 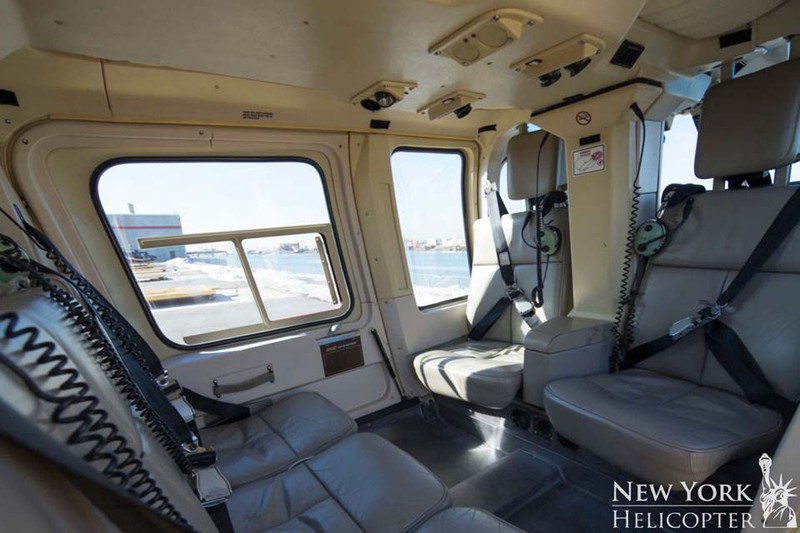 The doors and seats can be easily removed for the installation of utility and photographic equipment, making the Jet Ranger one of the most versatile executive helicopters available to date. The Bell Helicopter 206 family of turbine powered rotary wing aircraft is world renowned and considered to be the safest, most reliable aircraft of any kind flying throughout the world. The Bell 206 L IV Long Ranger is a 7 place helicopter with an average cruise speed of 110 mph, range of 330 miles and an endurance of 3 hours. New York helicopter tours are a great way to experience flight as well as see the local sights. Inquire online for more information and plan your tour today.